We are so excited to offer you an amazing array of stage acts at our Chelmsford 2017 event - find out more below. We have FREE stage performances! 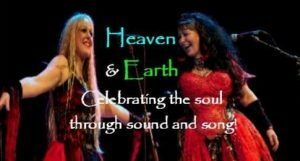 Join Shaman Barbara Meiklejohn-Free and Flavia Kate Peters celebrating the soul through song and sound, as their performance reconnects the energy of the heavens with the heart of Mother Earth. Ian Haywood is a concert pianist and composer from Chelmsford, UK, signed to Oakfield Records. He writes ambient piano music with classical influences and currently has his first album due for release in all online digital download retail stores and streaming sites. Sign up to his newsletter at http://bit.ly/ihthewave and receive free copy of The Wave from the Inspired By Nature album and exclusive content. Morrigans Path are: Sheena and Ian Cundy, Jim Olley, Mark and Lyz Barnard, Gareth Knight. Original, magical music ~ from the earth and beyond the veil. In searching to find her own inner peace and happiness, Lesley started her spiritual journey with Reiki, eventually becoming a Reiki Master in 2002. She is also became a Medium and Channel for Spirit. Already an established singer/songwriter, musician, performer, voice coach, committed meditator, author and poet she now combines all these elements to offer her unique sessions she calls ‘Spirit and Sound’. Belly Dance is an ancient, powerful and sacred dance. It offers a fun way to fitness, personal empowerment, creativity and self-acceptance. To dance an ancient movement in a modern era is to defy time and connects us all in spirit. Sandra will be playing her beautiful saxophone sounds on stage at various times and is available for weddings, parties etc. Sandra is a Transcendentalist, Holistic Therapist working on the mind, body, spirit & soul through the medium of Reiki and has been a Reiki Master Teacher since 2003. She takes a human approach in her work while acknowledging that each individual is unique. She has worked in the Dental environment since she was 15 years old and continues to be interested in anatomy, physiology, physics and science. She finds that Hypnotherapy (Psycho analysis, Dream analysis, Past Life Regression, Fast Track Phobia Cure, Dental Phobia) is an interesting tool for releasing emotions, changing attitudes and encouraging positive ideas. Her basic tenit is: Find The Cause, Remove The Cause and then there shall be no effect and if you can’t remove the cause then Change your attitude towards it. Through the power of Meditation and the practice of Qigong, Sandra quickly learned how important Holistic Health is and went on to practice Indian Head Massage, Holistic Face Massage and Hopi Ear Candling. This year see’s us with a totally new concept for a Stage Demonstration. I will be joined on stage by the lovely Naomi Tamayama of Maddogg Designs. We will be offering a live audio visual perspective of working with crystals. For many it’s a real challenge to understand how the subtle energies of crystals can have any positive influence on us. But If your sensitive or interested in working with anything natural then your be more than entertained by this stage demo. You will see the visual interaction between our seated client and the crystals that are handed to them. We live in an energy based reality and everything has an energy signature. I believe our aura or personal energy signature is just one element of the biometric representation of our life-force. Aura interpretations are one of the leading companies in the UK today offering photographs & reading using some of the best Aura Photographic & Live Aura Video Systems available, not only do we offer you the best equipment, it comes with the added advantage of over 30 + years of research & development from the original / current inventor of the modern Aura Camera. We provide a variety of services that can be used to help and support your personal growth and continued development in an informative and entertaining manor. So please do come and see us on our stand for more information.